This year the Festival brought together the largest ever number of professionals and students in the field of non-fiction film from all over the world. Punto de Vista finalizó el pasado 16 de marzo su 13ª edición. Tras una semana donde el riesgo creativo ha estado en el centro, el Festival, promovido por el Departamento de Cultura, Deporte y Juventud del Gobierno de Navarra y organizado íntegramente por NICDO, valora ahora la respuesta obtenida por parte del público. En primer lugar, cabe destacar que este año se ha logrado una cifra récord en los profesionales y estudiantes acreditados al festival. Más de 200 profesionales, entre cineastas, profesores y programadores, han visitado Pamplona para conocer de primera mano la programación de Punto de Vista. Los perfiles que ha recibido el Festival incluyen a académicos y programadores de varias de las instituciones más relevantes del mundo, como pueden ser la Berlinale, el Festival de Cine de Locarno o la National Gallery of Art de Washington. Además, se ha logrado récord también de estudiantes acreditados. Más de 150 jóvenes venidos de centros académicos como la ESCAC (Barcelona), la EQZE (Donostia), la ECAM (Madrid), Master LAV (Madrid) o la Universidad Autónoma de Barcelona han trasladado su sede durante una semana para instalarse en Punto de Vista como lugar de aprendizaje, convirtiéndolo en una cita habitual para las escuelas de cine más importantes del país. Todo esto refleja el buen rumbo del festival, que está atrayendo cada vez a un número mayor de público profesional nacional e internacional. De esta forma, Pamplona se convierte durante una semana en referente de la comunidad audiovisual con gran presencia. Por otro lado, este año la programación en Baluarte se ha concentrado en cuanto al número de sesiones realizadas, y sin embargo la cifra de público ha sido algo superior a la de la última edición, alcanzando solo en el Palacio de Congresos y Auditorio de Navarra alrededor de 5.500 espectadores. Esto se ha traducido en que varias de las más de 50 sesiones programadas agotaron las entradas, como fue el caso de las retrospectivas de Jonathan Schwartz, la performance de Niño de Elche ‘Los aires llevan mentiras’, el homenaje dedicado a Jonas Mekas, la sesión de cine sonoro de Xabier Erkizia, el programa del viernes de Marie Losier o la sesión de las últimas películas de John Price. Además, ha habido otras sedes como el Planetario de Pamplona, el Centro de Arte Contemporáneo de Huarte, la Filmoteca Navarra, la Universidad de Navarra, la red Civivox, Civican o Geltoki que han acogido más actividades del Festival. The 13th edition of Punto de Vista ended on 16th March. After a week in which creative risk was at the centre of things, the Festival, backed by the government of Navarra's department of culture, sports and youth and organised entirely by NICDO, is now assessing the audience's response. First of all, it should be pointed out that this year the festival attracted record numbers of accredited professionals and students. Over 200 professionals, including film makers, lecturers and programmers, visited Pamplona to see the Punto de Vista programme for themselves. The profiles attending the Festival included academics and programmers from some of the world's top institutions, including the Berlinale, the Locarno Film Festival and the National Gallery of Art in Washington. There were also a record number of students accredited. Over 150 young people from academic institutions like ESCAC (Barcelona), EQZE (Donostia-San Sebastián), ECAM (Madrid), Master LAV (Madrid) and the Autonomous University of Barcelona came to spend a week learning at Punto de Vista, making this a regular date for the country's leading film schools. All this shows the festival is going in the right direction, attracting larger and larger professional audiences from Spain and abroad. Like this, for a week Pamplona becomes a major landmark for the audiovisual community. Moreover, this year the Baluarte programme cut the number of screenings held, but nevertheless attracted a slightly larger audience than last year, and the Navarra conference centre and auditorium alone had audiences of around 5,500 people. This meant that several of the 50-plus screenings were sold out, as in the case of the Jonathan Schwartz retrospectives, the performance by Niño de Elche ‘Los aires llevan mentiras’ (The Breeze Carries Lies), the homage to Jonas Mekas, the sound film session by Xabier Erkizia, Marie Losier's Friday programme and the screening of John Price's last films. There were also other venues hosting Festival activities, including the Pamplona Planetarium, the Huarte contemporary arts centre, the Filmoteca Navarra, the University of Navarra and the Geltoki, Civican and Civivox network. The connections and synergies created by Punto de Vista are another point to highlight. The Festival has also strengthened different alliances for the Navarra region, locally, nationally and internationally. Cooperation with educational institutions in Pamplona and other cities, work together with institutions like the Museo Nacional Centro de Arte Reina Sofía, CCCB, Filmoteca Española and CGAI, and association with world-leading bodies like the Tate Modern in London, Cinematek in Brussels and the Canadian embassy in Spain has built up an important network of contacts for Navarra that will certainly lead to new projects in the future. The local presence was also one of key importance at the 13th edition of the Festival. On Tuesday 12th March film makers from the Basque Country and Navarra took part in programmes like that of Paisaia, which brought together the most recent work on the local scene in the field of documentary film most willing to explore and experiment with its aesthetic form and narrative. Maddi Barber, Maria Elorza, Maider Fernández and Jesús María Palacios were the protagonists. The Festival also offered a whole series of activities aimed at local audiences. Highlights included the workshop by Rick Prelinger held at the Huarte contemporary arts centre, through which the film ‘Lost Landscapes Pamplona’ was created, to be premièred on the last day of the Festival, the screening for children at the Planetarium, the session for young people at Baluarte and Filmoteca with Jonás Trueba's ‘Quién Lo Impide’ ('Who's Stopping You') project, the Activismo! children's workshops given by Ivan Argote, and Todas las Ciudades Posibles (All Possible Cities) by Aitor Gametxo and Maider Fernández, and the NaparDocs meeting where documentary makers from Navarra and the general public were able to share a meeting organised by Clavna about production, direction and distribution. 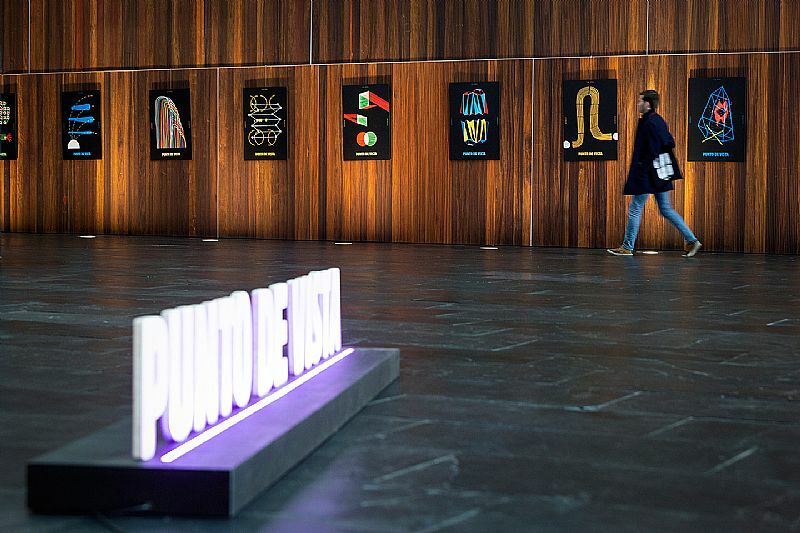 The significant media coverage given to Punto de Vista places Pamplona and Navarra on the cultural map at national and international level. Thus, the Festival appeared in general and specialist media in Spain, as well as in publications abroad. Moreover, Punto de Vista was given extensive media coverage by the leading regional newspapers, television and radio channels and online media. 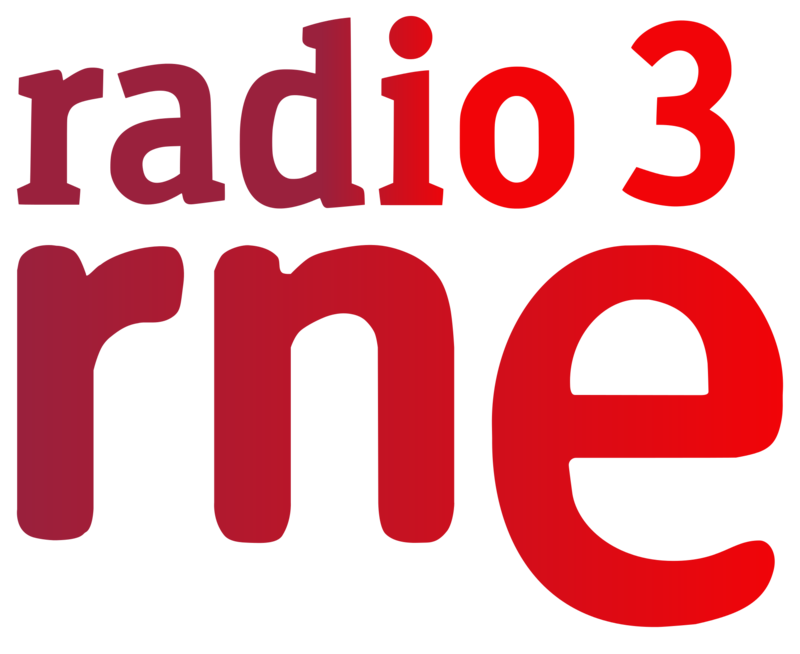 Finally, mention should be made of Radio 3 as the official medium for the Festival. This partnership has been reinforced and diversified this year thanks to a major presence for the broadcaster at Punto de Vista with more programmes made there. As in previous years, the programme El Séptimo Vicio was recorded here, but another of Radio 3's flagship programmes, Tres en la Carretera, was also broadcast from the Festival, and space was made for the event in the programme to which thousands of people wake up every day, Hoy Empieza Todo. Another record figure was that for the young people taking an active part in this year's Festival, either as members of the Youth Jury or as part of the volunteer team. In the case of the Youth Jury, for the first time Punto de Vista had to make a selection to set up the Youth Jury because of the large number of applications received, over 50. Finally, 20 young people aged between 18 and 25 were chosen for this Jury, which watched all the films in the Official Section to choose what they considered to be the best film. ‘The Sun Quartet, Part 2: San Juan River’ by the Colectivo Los Ingrávidos was the one they chose in the end. Finally, the team of volunteers this year had 22 members who helped in the running of the 13th Punto de Vista.